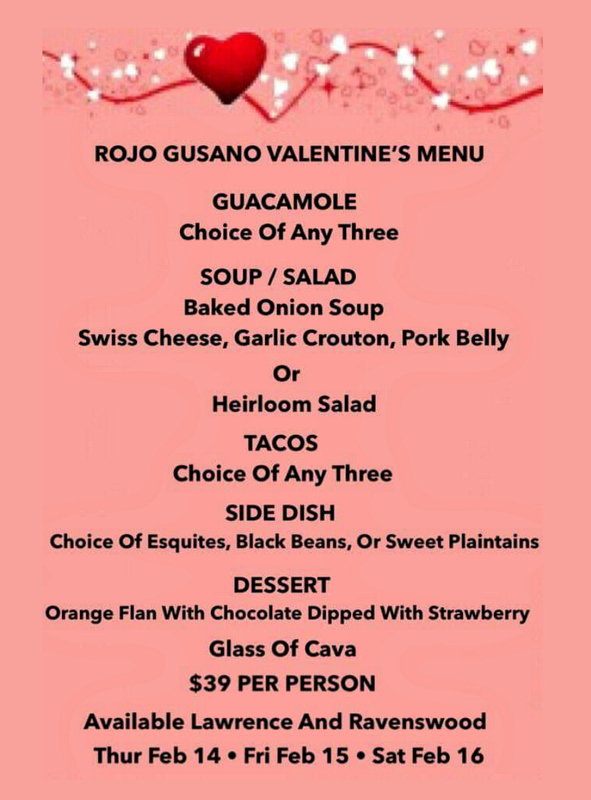 Enjoy a special $39 prix fixe multi-course Valentine's Menu, beginning with a choice of any three guacamoles, followed by soup or salad, choice of assorted globally-inspired tacos, side dish, orange flan with chocolate-dipped strawberry, plus a glass of Cava. 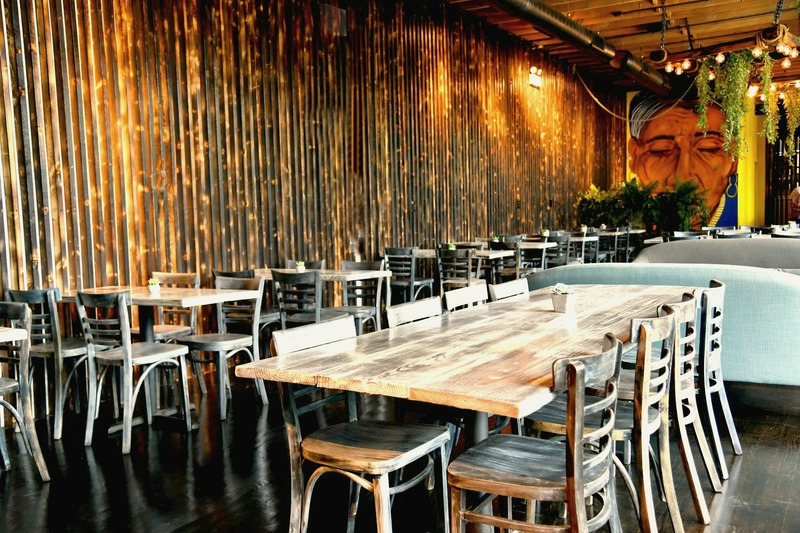 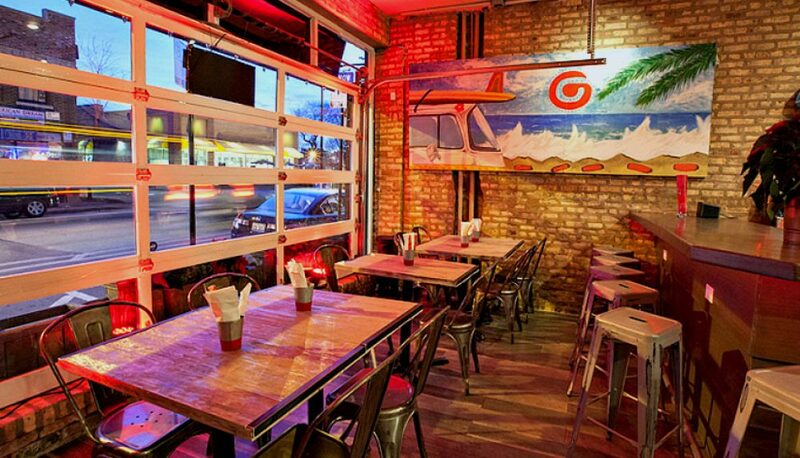 On Valentine's Day (Thursday, February 14), Rojo Gusano's Ravenswood location will also present the Latin sounds of popular musical group Heavy Sancho, from 7pm to 10pm. 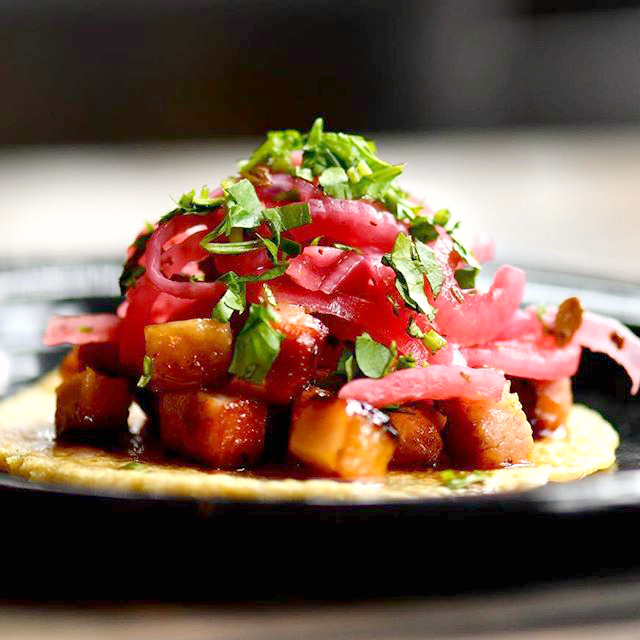 Choose any 3 of Rojo Gusano's globally-inspired tacos, including pork belly, with tamarindo-chipotle salsa, pickled red onions, cilantro.